Artists around the world are using partial and entire shipping containers to help them create unique and stand-out pieces of art such as sculptures and paintings. Shipping containers make great canvases for art, as well as being super versatile in just about any display setting. In fact, we at Containerspace have even used shipping container doors decorated with graffiti art to adorn our garden beds. Creatives of different backgrounds are doing the same, and here are some of the best ways shipping containers are taking over the world. In our very own garden beds at Containerspace, we have used shipping container doors as art inspiration. 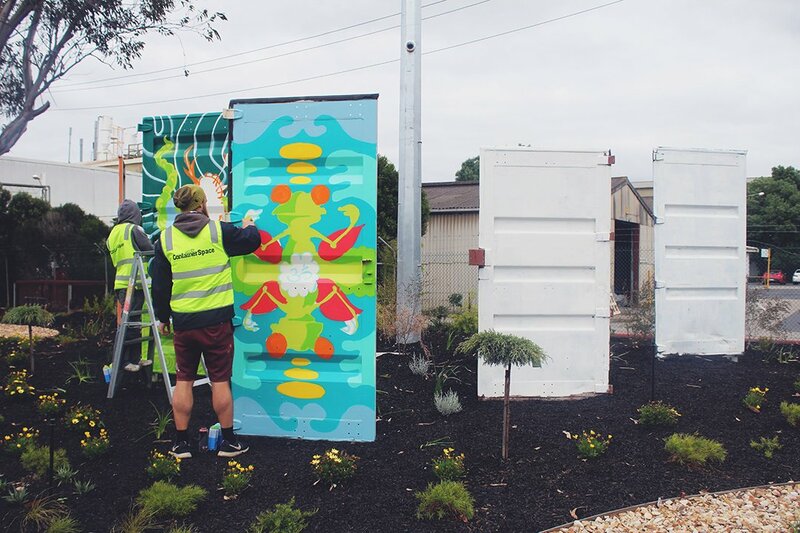 The shipping container doors have made our garden beds look more alive than ever, with graffiti art applied to add colour and vibrancy to the backyard, and of course a perfect tie-in with our theme of shipping containers. Here’s a sneak peek of what you’ll see when you visit. Showcasing large shipping containers stacked on top of each other at different angles, this display is an international stand-out. This is an impressive public art installation, curated by Arnie Quinze and featuring graffiti art painted all over the containers. The walls are painted by different artists each year and draw huge crowds to view the towering stack up to eight containers high. Andrea Shapiro is an artist and DJ. This particular art studio was created in order for the artist to create her work without distraction and capture the necessary northern light. Located in the funky sea-side port precinct of Fremantle, Perth, Containbow is a 9-metre high public art piece which uses nine recycled shipping containers to form a rainbow arc. 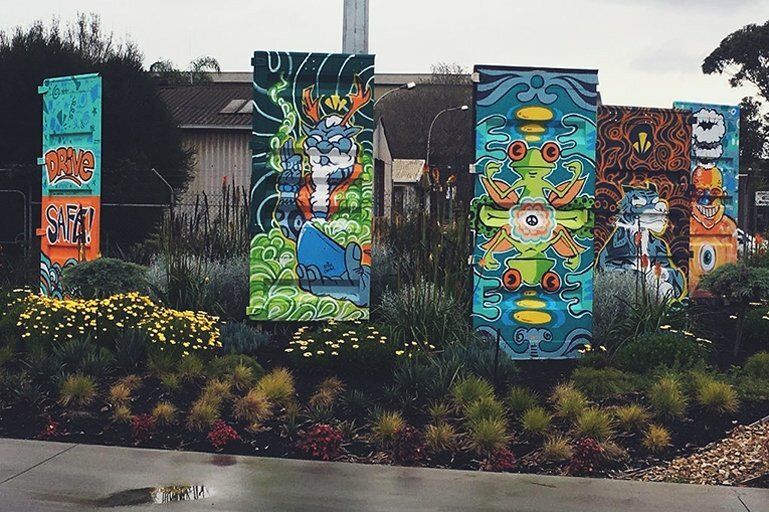 Each shipping container art is painted a different colour and the piece aims to represent the vibrancy of the area as well as its sea-port roots. An entire school in Korea made from recycled, converted shipping containers, the award-winning OpenSchool also doubles as a public amphitheatre and river view point. Art gallery CC4441 takes on a minimalist feel with its black and white hues. Two shipping containers here have been stacked to create a mixed-use building which is mostly used a public art gallery and features a clever courtyard. Shipping containers are so versatile, they have now been used for practically everything. From homes and garden sheds, to pop-up restaurants and backyard offices. But there’s more to them than just that. They make a great blank canvas, too, especially for creating and showcasing art. Browse our range of shipping containers today to get your own art project started or view our past works for some inspiration.